I found in my inbox an e-mail informing about a possibility of an occultation 9.2 mag star (TYC 2224-01391-1) by asteroid Ennomos (4709). I could not make up my mind whether to go or not because the weather was neither good nor bad. There were plenty of clouds in the sky. Finnaly, after an analysis clouds from satellite pictures I decided to try it. It was the right decision. 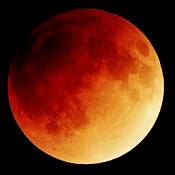 The total lunar eclipse was on the program a few minutes ago. Unfortunately there were too many clouds. I was able to capture it just after beginning and one photo during the show. Nothing more. It is pity. It could be a nice eclipse. When I was considering what to capture during this night I found dark nebulas (B3,4 also known as LDN 1740) in the bottom of constellation Perseus in a sky map. 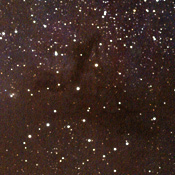 The nebulas are very faint and it is very complicated object for DLSR to capture. Althouth the result is not good I decided to show it. 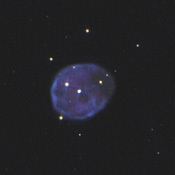 Another positive occultation of a star by asteroid. Althouth I was out of an expected shadow line I managed to catch it. There is my another attempt of this globular cluster. 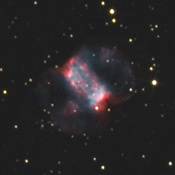 You can compare my first photo of M15 that I took almost 6 years ago and this one. The difference is obvious. 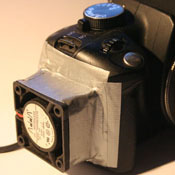 I have decided to try another modification of my Canon 350D. The first modification was an original filter exchanging, the second one is about a passive air cooling. I was working out with "Little dumbbell" during the weekend. 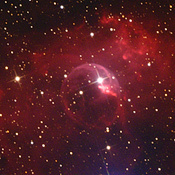 The Bubble Nebula is situated near the constellation Cassiopeia. This object is being created by very hot and a massive star that is approximately 40 times more bigger than our Sun. The star and Bubble nebula around it is about 7,200 light years from our planet. 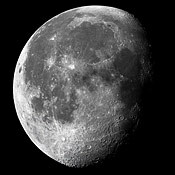 I decided to take a picture of the Moon and then a detail view of crater called Copernicus and an area around it. 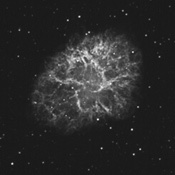 I had bought a special IR filter (742nm) for capturing planet in infra light several months ago. The result is quite good. 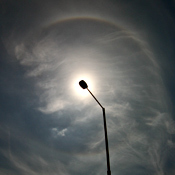 After 3 years I could see this phenomenon again. 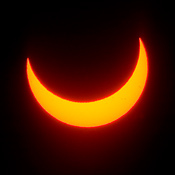 It is a nice show and you do not need any expensive lenses for observing. 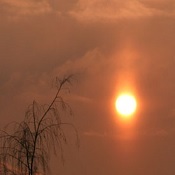 The beginning was hiden behind clouds, so nothing was visible. 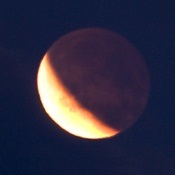 After a while the sky was getting clearer a clearer and finally I could see our Moon in red colours. There are some photos. 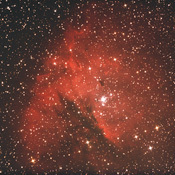 The constellation Cygnus is full of nebulas. 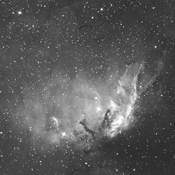 One of them is the Tulip Nebula (Sh2-101). 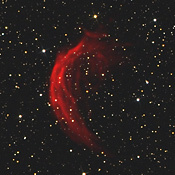 Its location is a few degrees next to the well-known Crescent Nebula. There was an astrophotographic workshop in my very old wooden cottage ("drevenica" in Slovak - English speakers can learn a special word) from 15 to 17 April 2011. 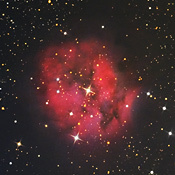 It was focused on processing of astronomical photos, processing of HDRI photos and lots of other topics from practical astronomy. I have spent two nights taking pictures of globular cluster M3. The first one was used for taking light and the second one for capturing RGB information. 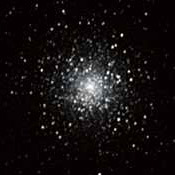 M3 cluster is impressing - as well as all globular clusters. 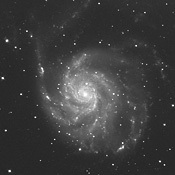 The M101 Galaxy (also known as Pinwheel Galaxy) is one of the best beautiful spiral galaxies. However, only core is quite symetric. After longer exposures you can see that it is unsymetric. 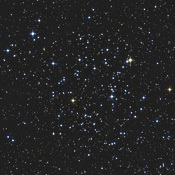 The distance from the Earth is about 25 million light years and you can find it in the constellation of Ursa Major. 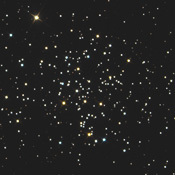 There are several open clusters in constellation Gemini. 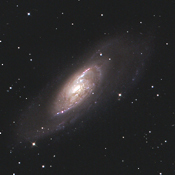 The largest one is M35 - its size is almost like size of full moon.